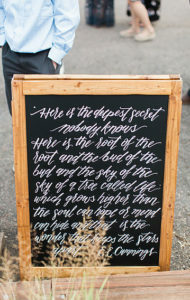 30 Mar Our 10 Favorite New Wedding Discoveries! With 2018 Wedding Season upon us we are busy bees working with incredible couples planning their Colorado destination weddings. As a result, we’ve come across some very talented artists, designers and boutiques we just couldn’t keep to ourselves. 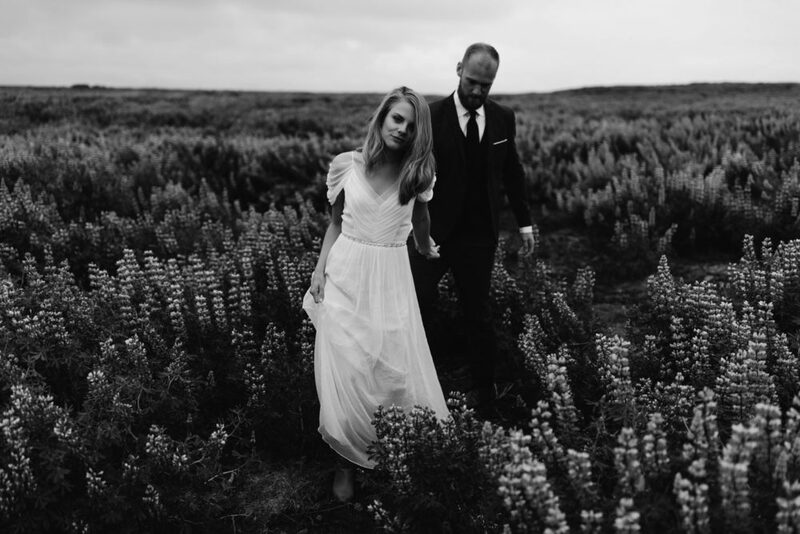 No matter where you’re planning your wedding we highly recommend checking out this list of wedding professionals below, each certain to help you make your big day unforgettable. It’s the smallest details that make the largest impact on your wedding day. It’s what often leaves a lasting impression on your guests and what makes your loved ones feel as special as they’ve made you feel. We’re talking about the art of calligraphy. 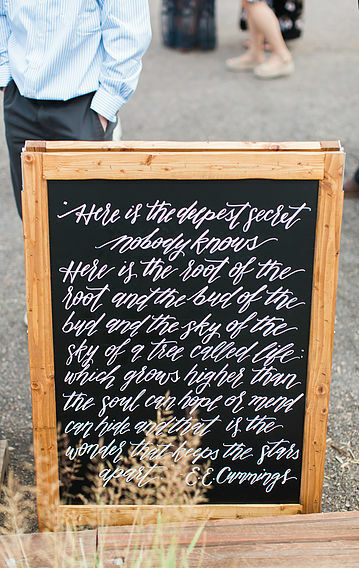 That dreamy hand-lettering we can’t seem to get enough of. And for good reason. 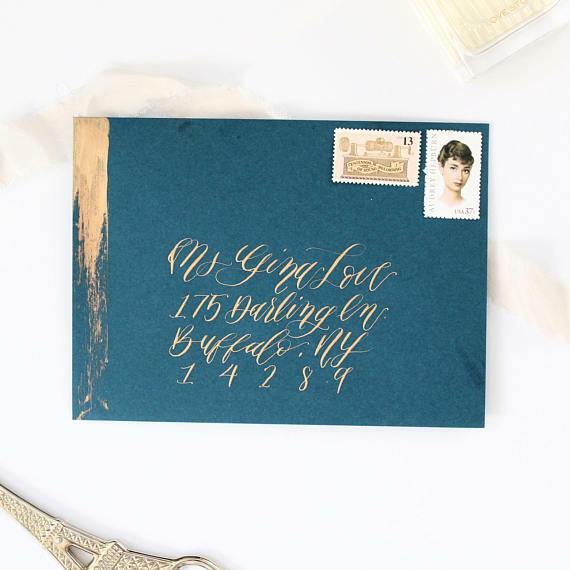 A calligrapher isn’t just someone you hire for your wedding invitations and RSVP cards, though we highly recommend this if your budget allows. 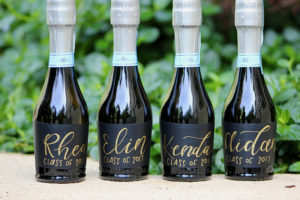 A calligrapher can also provide you with place cards, wedding signage, and wedding favors. 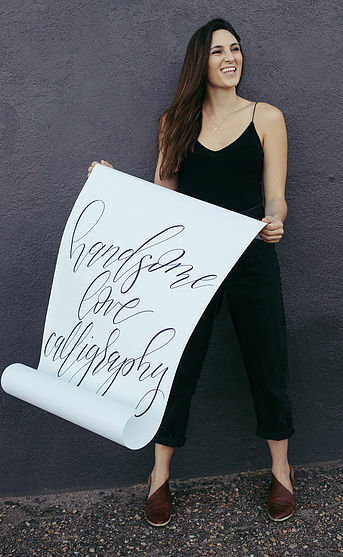 Let us introduce you to Camille Fenn, the uber-talented artist behind Handsome Love Calligraphy. Camille’s work is so emotion-driven and so swoon-worthy we want to see it everywhere. At our showers, at our weddings, at our dinner parties, on our studio walls, and in our homes. We think you will too. 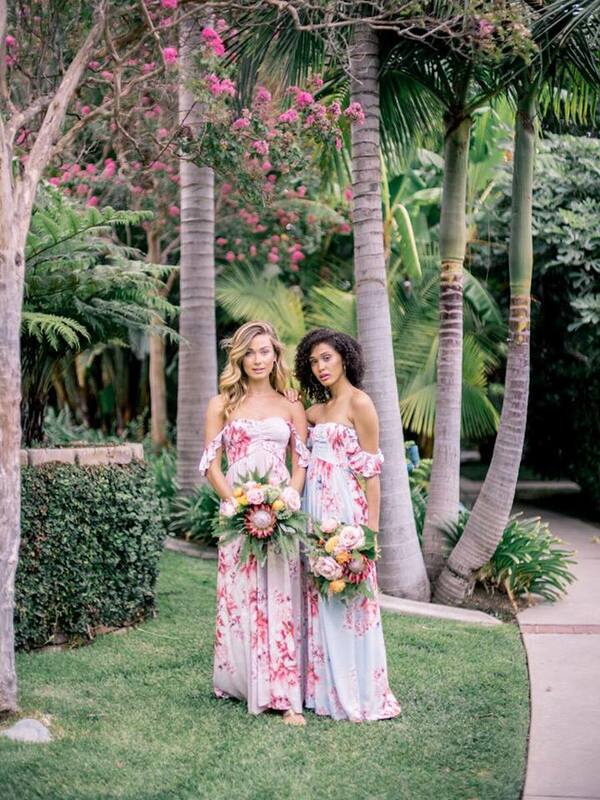 In our humble opinion, florals are a must at weddings. They provide color, elegance, and give your wedding that super romantic vibe. Having an expert florist will be the best decision you will ever make and believe it or not, will help you cut costs. 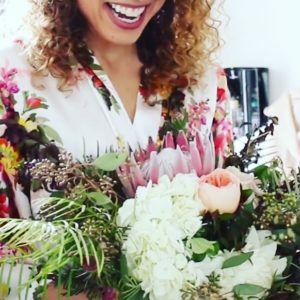 A professional florist has access to wholesale flowers and can get a much better rate in bulk that if you buy directly from a retailer or grocery store. A pro can also help you better determine what’s in season which can also help you save on your budget. Bottomline, when it comes to choosing floral arrangements, it can be incredibly overwhelming because there is simply so much to consider. 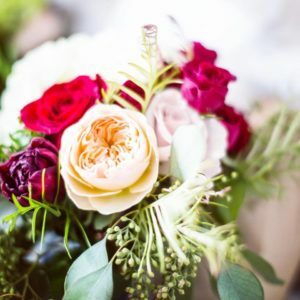 Allow a floral designer to take on the task of helping you pick out florals and greenery that are going to compliment your wedding and your budget. 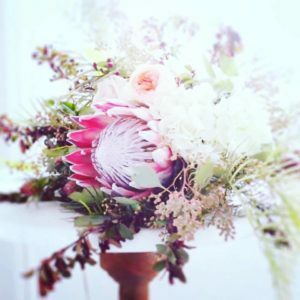 If you are in need of finding someone who can give you a floral fairytale, we highly recommend checking out Angela Kuepper at Petal & Flour. Angela has more than twenty years of experience in the floral industry and designs the most beautiful arrangements, bouquets, and corsages. We are obsessed with her style. 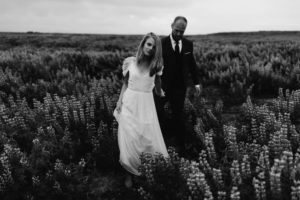 Wedding photographers are not just taking your photos. They are helping you capture and tell your love story. 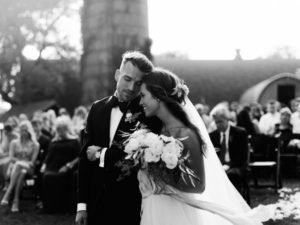 We want you to look back on your big day and swoon over your photos that show you gazing into your best friend’s eyes like you couldn’t wait to experience forever with them. Those moments give your photos a whole new meaning. Which is why investing in the right photographer is so important. As Wedding Planners, we, of course, have a plethora of photographers whose work we love, but today we want to share the one we can’t seem to get enough of. If you’re looking for someone to help you get those unique storytelling shots, you must check out Levi Tijerina Photography. His goal is to rewrite the way you see, experience and feel your photos. Consider allowing him to capture your marriage’s legacy and beautiful originality! Finding “THE DRESS” is an exhausting journey. You have to think about what is going to compliment your body type, what styles your interested in, what material you prefer if you want a certain color, and much more. 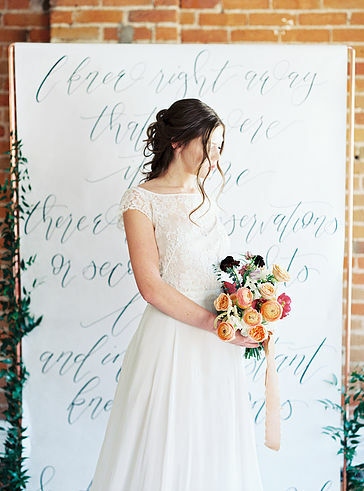 As a bride, all eyes will be on you, which they should be…you’re getting married! It’s kind of a big deal! But what will you wear? You need a dress that expresses who you are while making you look stunning at the same time. Fear no longer, we got you! 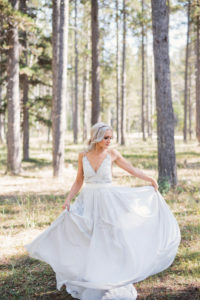 We have just the bridal shop that’s going to take away all your wedding dress worries and help you find a dress as unique as you are. 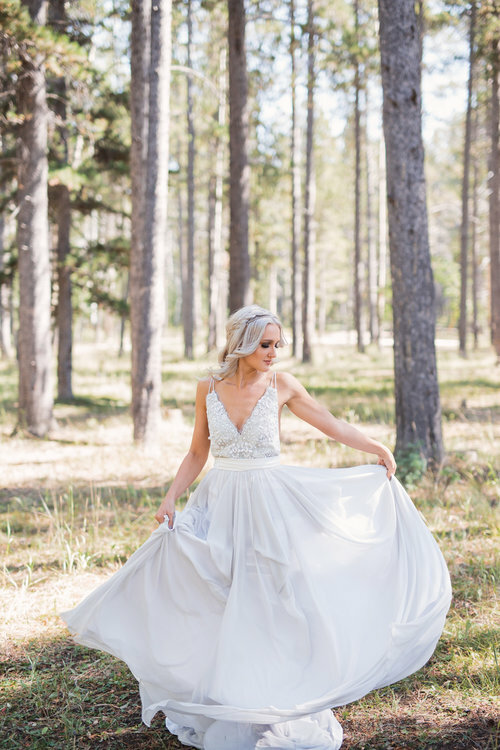 a&bé bridal shop offers the most creative stylists that will help you see your favorite qualities about yourself and help you pick out a gown that was meant to be worn by you. Saying “YES!” to the dress just got a whole lot easier my beautiful brides to be. 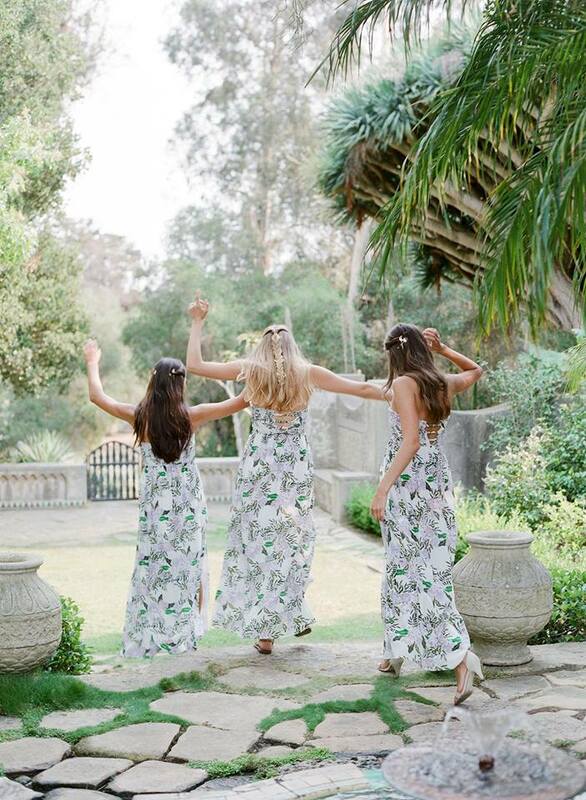 The best bride tribes deserve the best bridesmaid dresses! We want to help you find dresses that are as beautiful and as stylish as your bridesmaids. Finding the perfect dress that compliments all your girls can get a little tricky. Which is why we were over-the-moon when we found out that the go-to robe gurus, Plum Pretty Sugar, now offers dresses. You guys, these dresses. They are so lovely you’re going to want to wear them for every occasion all summer long. 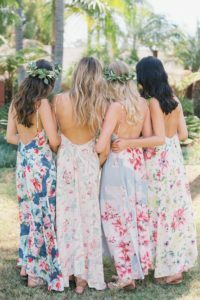 Which means your maids will love them, and appreciate that this is not a one-and-done bridesmaid dress. We especially love that they provide the four Cs: colorful, complimenting, comfortable and most importantly, ceremony ready! Wedding decorations and those darling little details are what will bring your wedding theme come to life. Picking items that all correlate nicely together can be a challenging task. Not to mention, you could be left with a ton of decorations after your wedding day is over. Don’t let this discourage you from getting lots of creative and beautiful decorations for your big day. 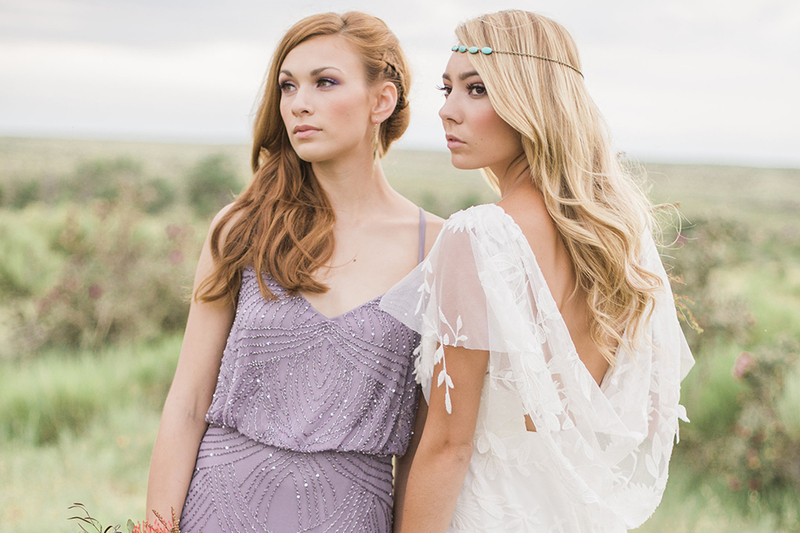 Let us introduce you to one of our favorite new wedding discoveries, Tiana Mae Designs. 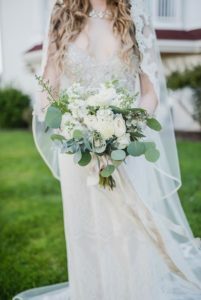 Tiana Mae Designs can not only provide you with visionary items that will make your wedding ceremony and reception pop, they will also take you to the finish line with consulting and design services. Giving out party favors and gifts to your wedding party or guests is a wonderful gesture to show them just how much you appreciate them for coming to witness your big day. Party favors are also nice to have because it allows guests to look back and remember the fun time they had on the day it was given to them. 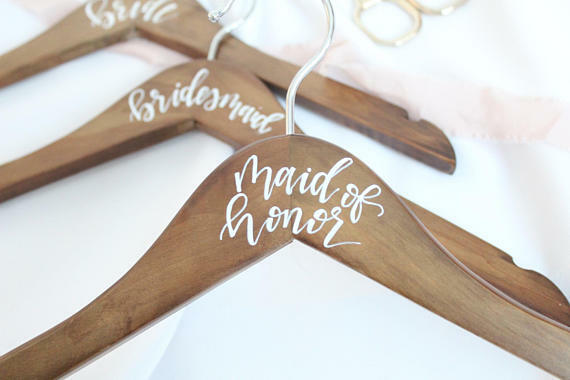 When thinking about party favors, you need to think of a creative gift that represents your new marriage, but what would be a good item to customize? Our new favorite find, Pretty Sugar Paperie can help you with that! Pretty Sugar Paperie applies beautiful hand scripted prints onto wedding day items such as hangers, mini bottles of champagne, mugs, cards, you name it! Your guests will love you forever for thanking them in Pretty Sugar Paperie style. From the ceremony to the reception, if you want to make a lasting impression, live music is the way to go. 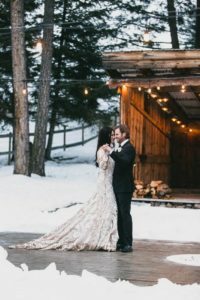 Whether you’re looking for a string quartet for your ceremony or cocktail hour, or for a full-on jazz or bluegrass band for your reception, Coletrain Music Academy can help you facilitate. Coletrain Music Academy specializes in Gypsy Swing, Jazz, Celtic, and Bluegrass and works with a variety of incredible musicians across the globe. Wedding hair. Ay, yi, yi. Where to begin? You are going to want to pick a hairstyle that will compliment your dress, go with the overall look and feel of your wedding, will take you from ceremony to your sparkler run, all while still feeling like you. Boho braids? Mermaid hair? Classic but perfectly loose like I didn’t try too hard updo? Bring on the hairspray and the bobby pins and have no fear because we got you. Or rather, our favorite new hair salon in Boulder has you. Downtown Refinery will take care of your lushes locks and will give you the wedding hairstyle that will make you weak in the knees. Want your skin to rival your gorgeous healthy hair? Check out their skin and spa services while you’re there. We all know the struggles that come with doing our own makeup. Sometimes we pick the wrong shade of foundation, can’t create a perfect cat eye to save our lives, and our smokey eye sometimes ends up looking like a black eye! Brides-to-be, commissioning a professional make-up artist on your wedding day is a must. Here’s why. Not only do you deserve to have a pro making you feel the most beautiful you’ve ever felt, you also need a pro to take you from a.m to p.m. You need staying power. You need makeup that will pop in your photos and makeup that will remain fresh despite your tears of joy. We have someone you’ll want to know. 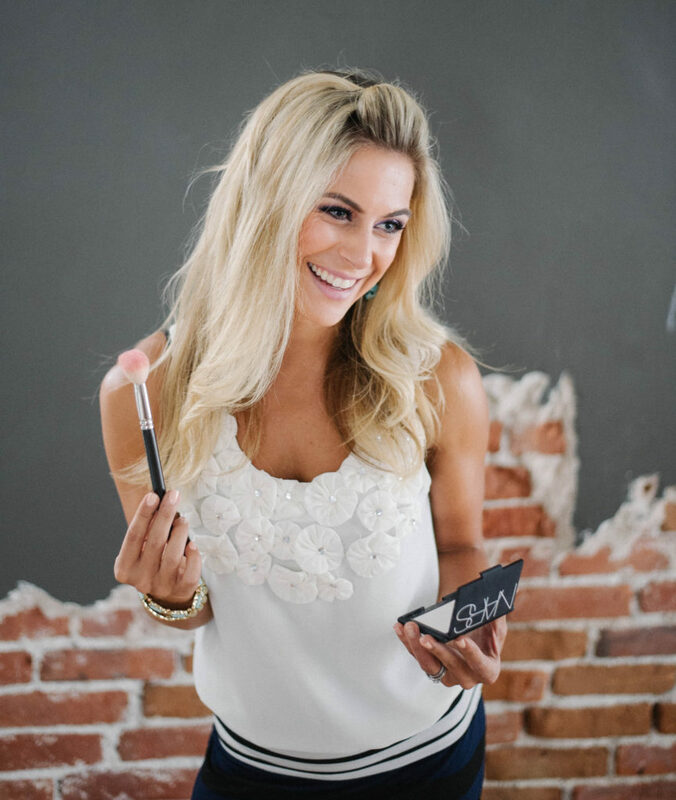 Meet Heather Baker, the mastermind behind Makeup by Heather B and HB Cosmetics. Even if you don’t book her for your wedding, we highly recommend following her and subscribing to her channels. Trust us, you won’t be sorry! Heather is definitely not new to us, but we had to include her because she is such fave. 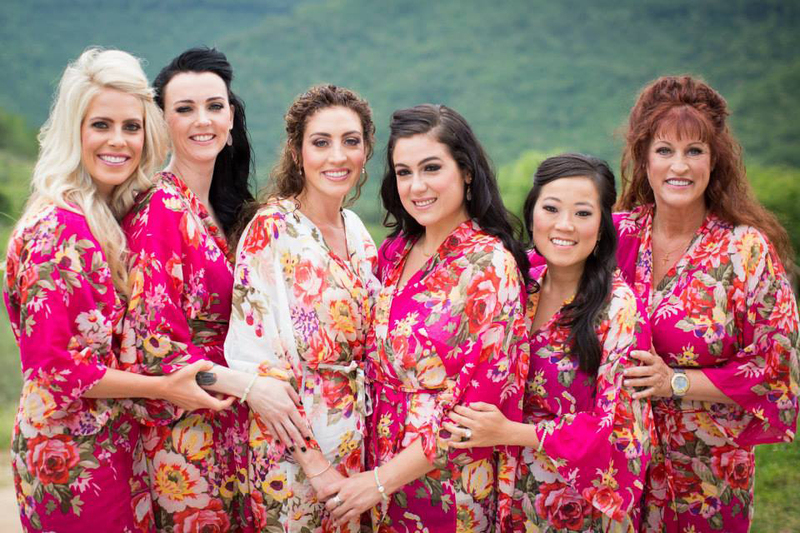 Heather has lots of experience working with bridal parties and she doesn’t just love making her clients look beautiful, she loves making them feel beautiful as well. “Make-up” your mind (I’m so punny) and choose Heather to help you through your special day!